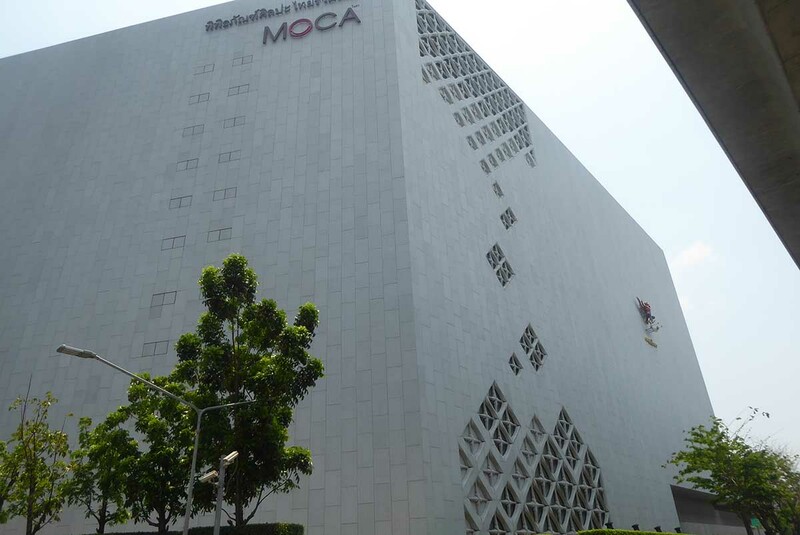 MOCA (Museum of Contemporary Art) is the best art gallery in Bangkok. 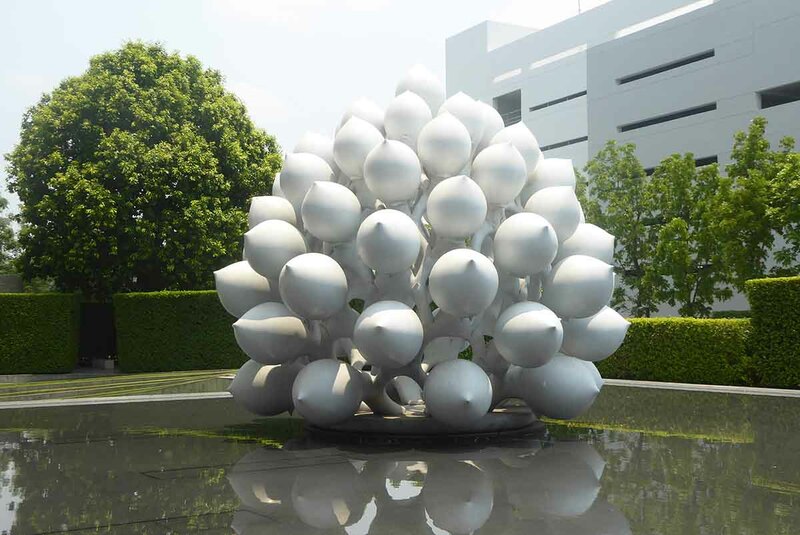 It houses the most comprehensive collection of modern paintings and sculptures in Thailand displaying pieces by more than 100 Thai artists who span six generations. Built-in 2012 the beautifully designed building features collections spread over five floors. 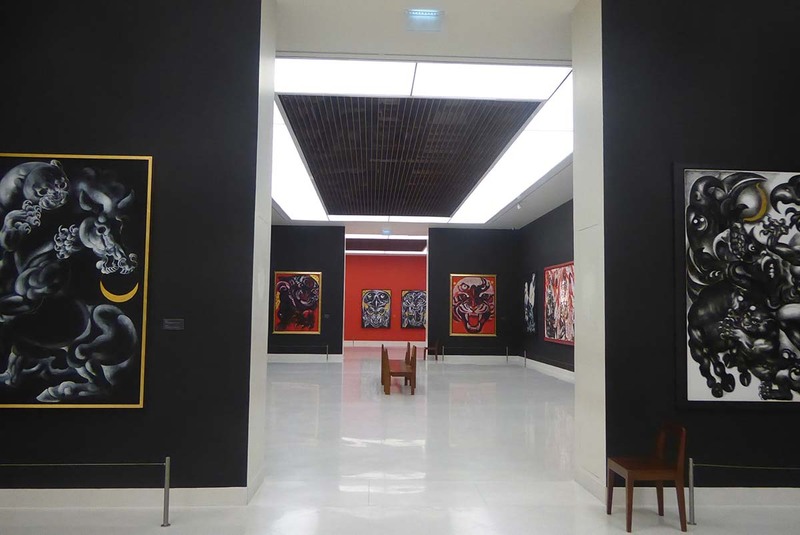 The first four floors feature Thai artists while the 5th floor features an International gallery featuring mainly South East Asian artists and a permanent collection of Victorian paintings. The stunning interior features large spaced out white rooms with lots of natural light. 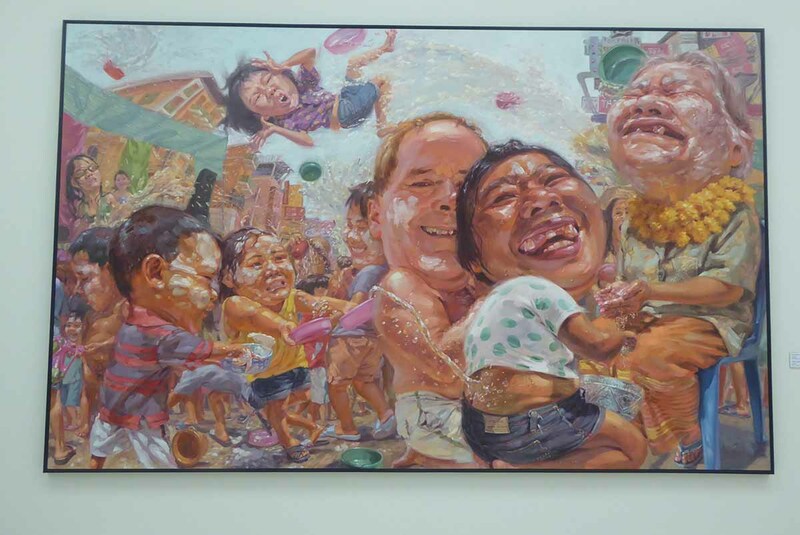 The art on show is the personal art collection of telecommunications tycoon Boonchai Bencharongkul, founder of the DTAC telecommunications group. 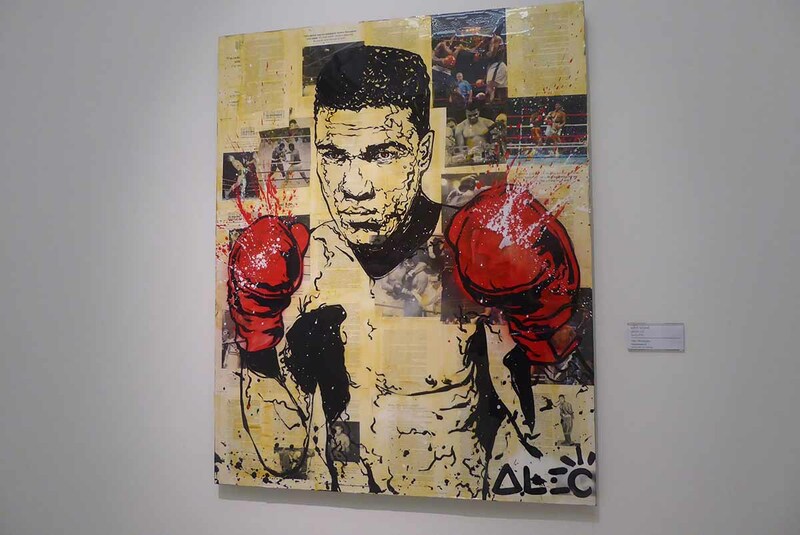 The subject of the art at MOCA varies. 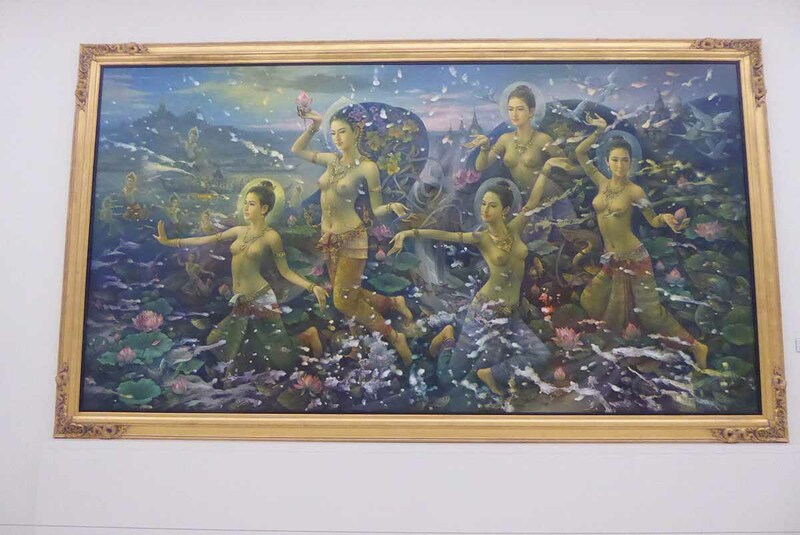 Topics and styles range from traditional Thai paintings with images from Buddhist mythology to paintings of everyday life in Thailand. 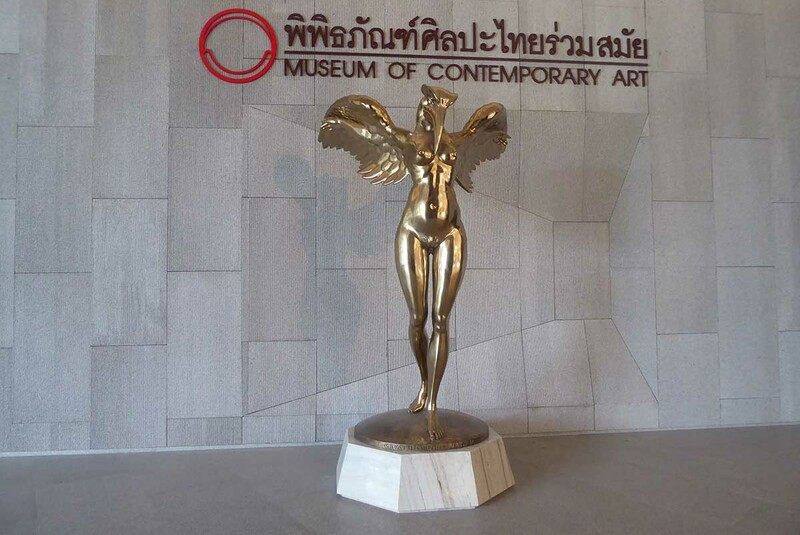 The Ground floor has two exhibition halls for temporary exhibitions and two halls for exhibiting paintings and sculptures by Thai National Artists Chalood Nimsamer and Paitun Muangsomboon. 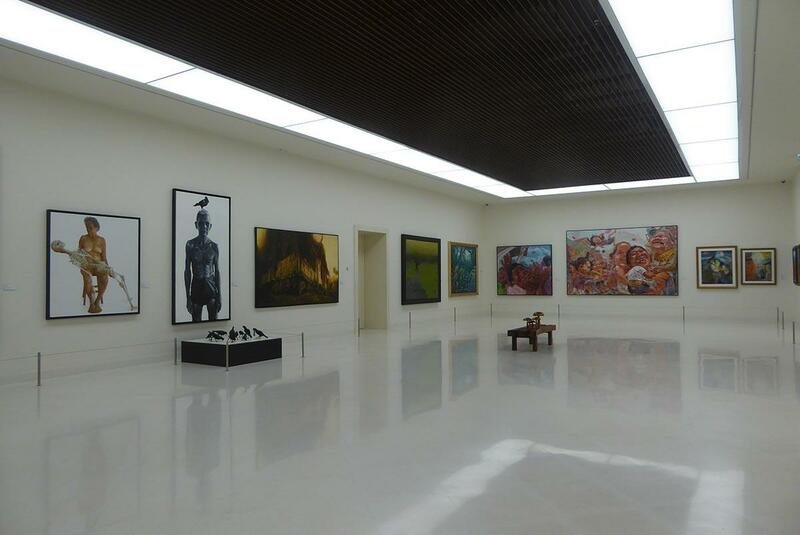 The 2nd floor displays a mixed media of paintings and sculptures. 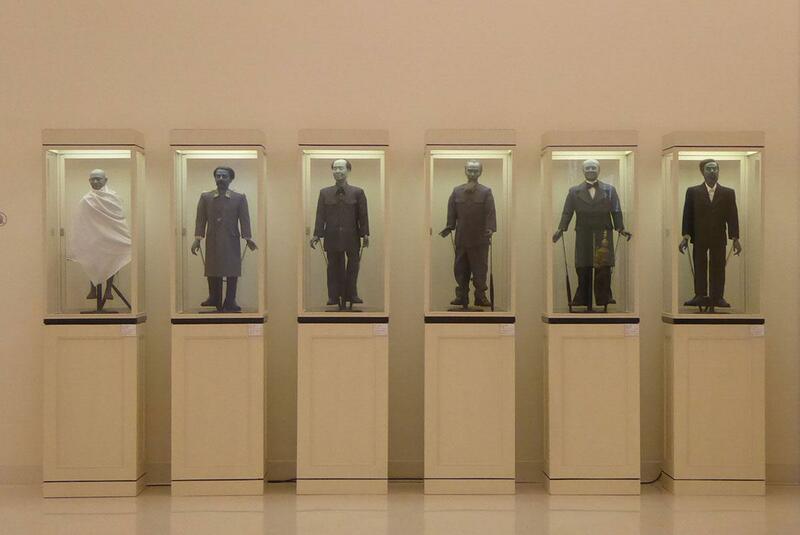 There is a collection of incredible life-like puppets of famous and infamous former heads of state. With Gandhi, Lincoln, and Churchill representing good and Hitler, Stalin and Saddam Hussein representing evil. 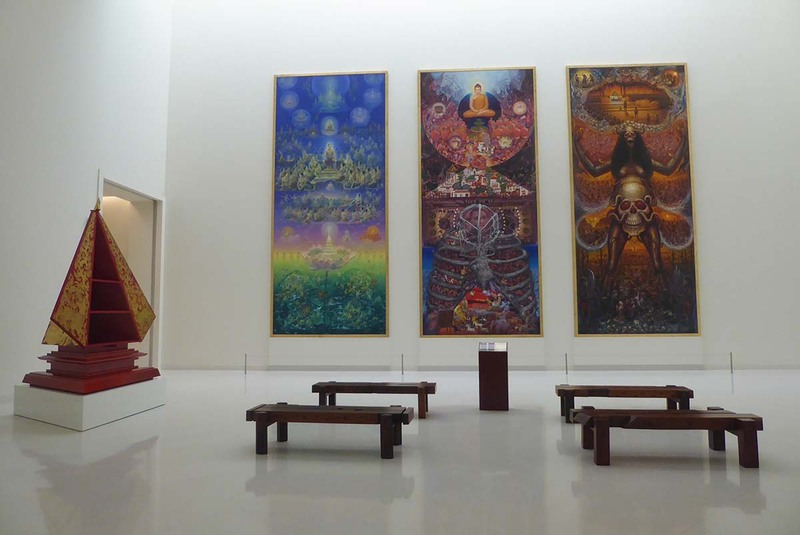 The main exhibition room has a collection of contemporary paintings by Thai artists drawing on different themes such as social knowledge and Buddhism. 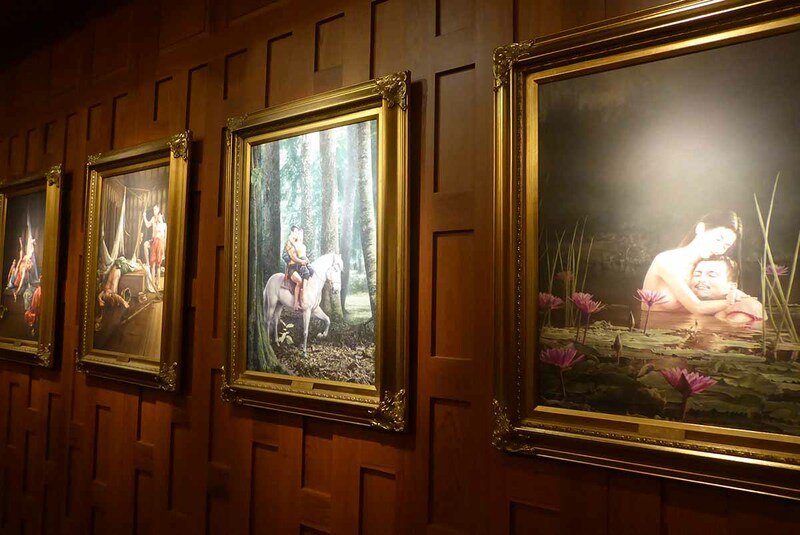 The 3rd floor displays imaginative contemporary pieces by various Thai artists and a room with pieces inspired by Thai classical literature. 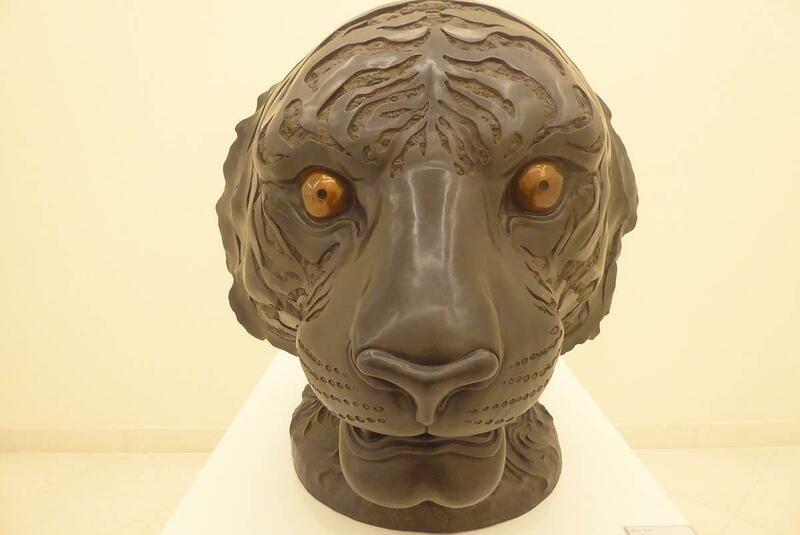 The 4th-floor features artworks by noted Thai artist Thawan Duchanee as well as a room dedicated to Great Artists. 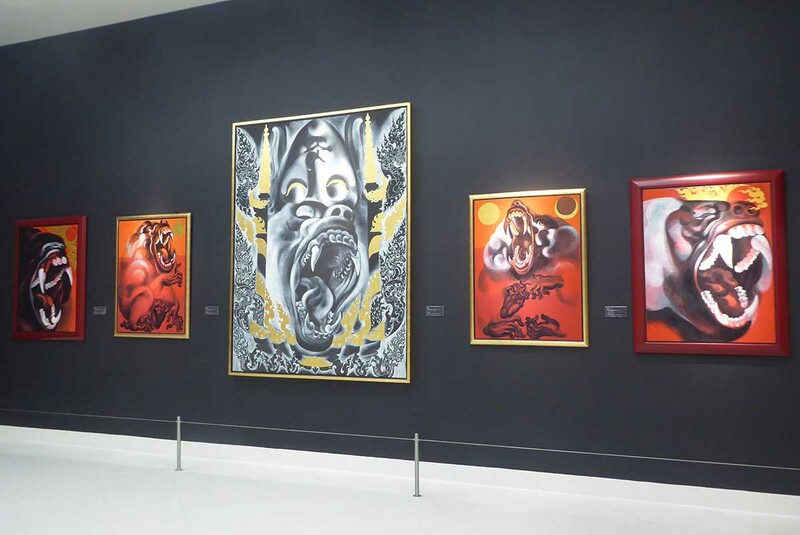 One of the highlights of this floor is the three huge contemporary paintings depicting the Three Kingdoms of Heaven, Middle-Earth, and Hell. 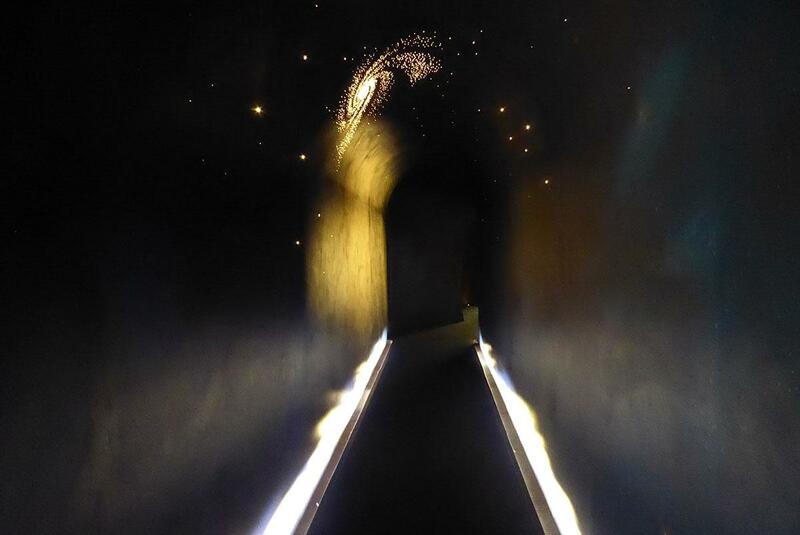 Entrance is through a dark tunnel. 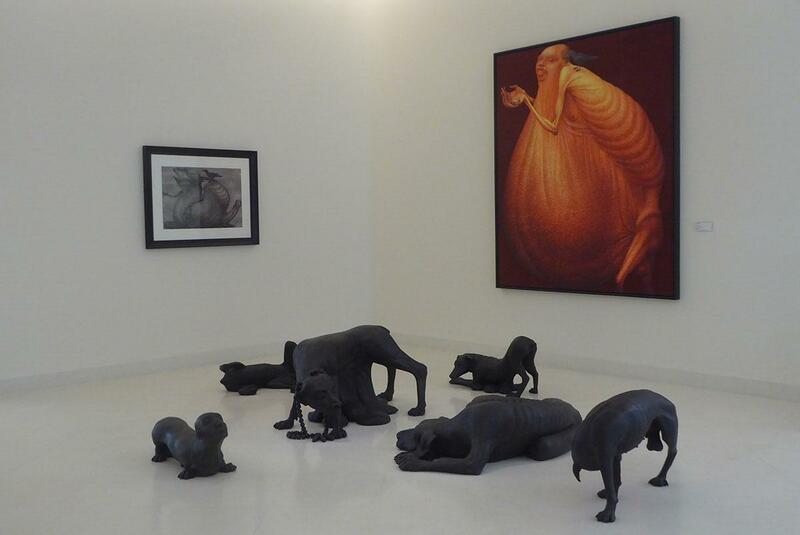 The 5th floor displays International contemporary art from other countries. 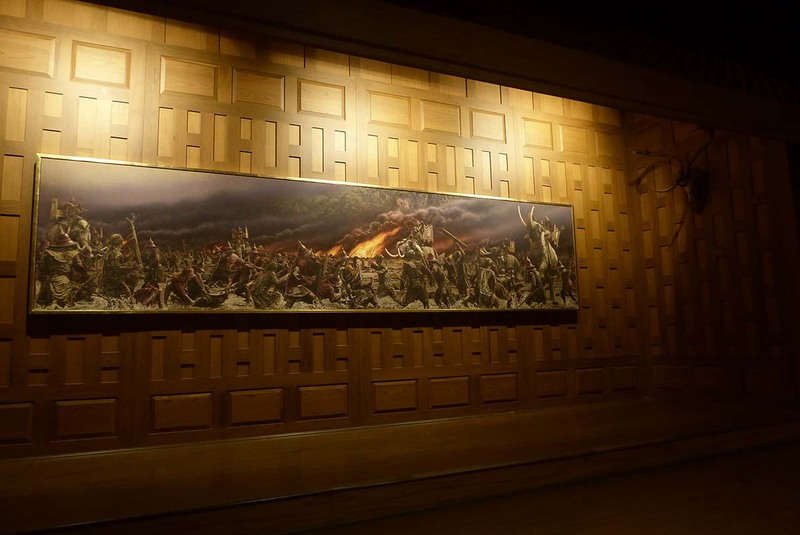 There is a Richard Green exhibition room which displays paintings from the Romantic period that was popular during the 18th century, particularly in Victorian-era Great Britain. The room, designed in a European museum style features a curved skylight. The outside grounds feature several sculptures including, Buddha’s, birds, the Hindu god Ganesha and a giant lotus flower rising from a pool. There are a cafe, bookstore and museum shop on the ground floor. The museum is not in the center of town but is easy to get to by BTS/MRT and taxi. 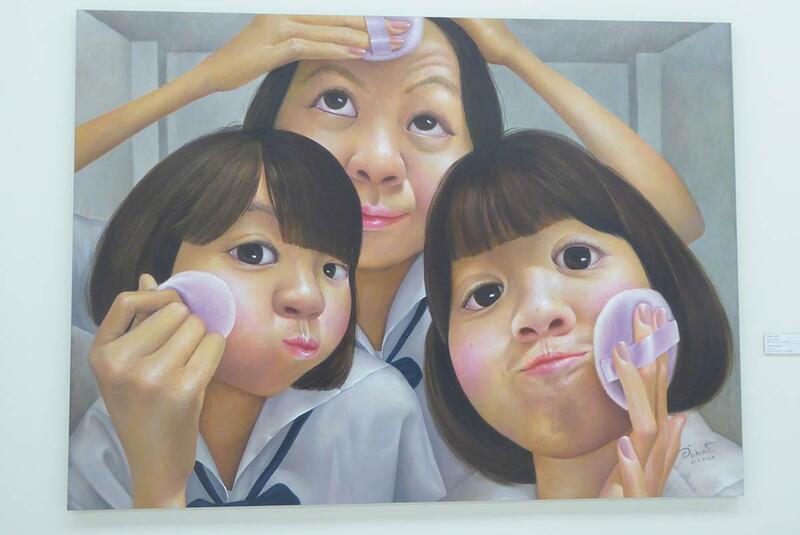 If you are a serious art lover it is worth the trip. 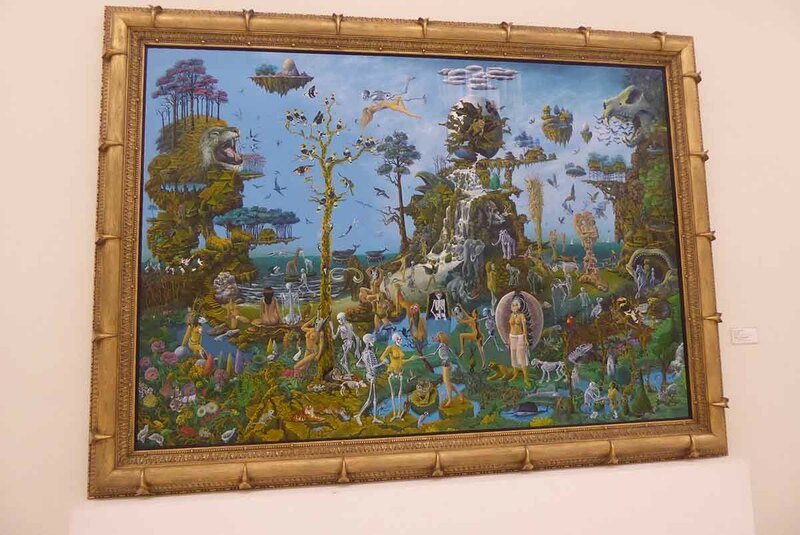 You are free to take photos of the art apart from the Richard Green collection on the 5th floor. Admission: Adult 250 baht. Children under 13 free. Rules: No bags allowed inside. Free Lockers. No Smoking. Dress respectfully. BTS: Mo Chit station (exit 1 or 3), the taxi or bus. MRT: Chatuchak Park station, then taxi or bus. Bus: 29, 52, 69, 134, 187, 191, 504, 510, 555.